on the topic of your choice. We come to you! 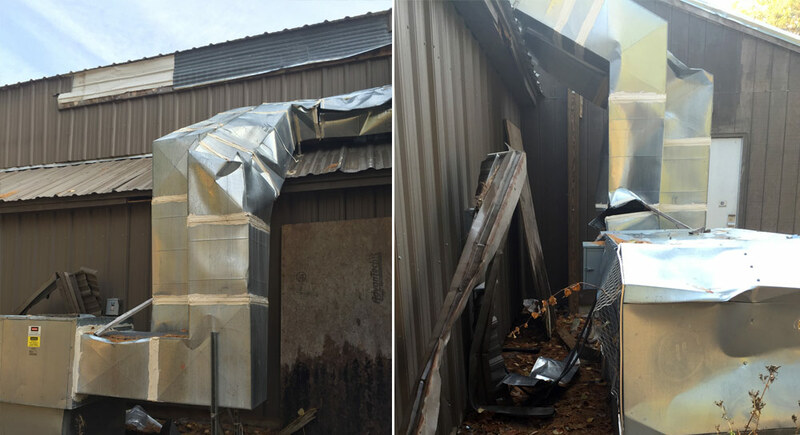 Problem: unit and ductwork damaged by falling steel siding. 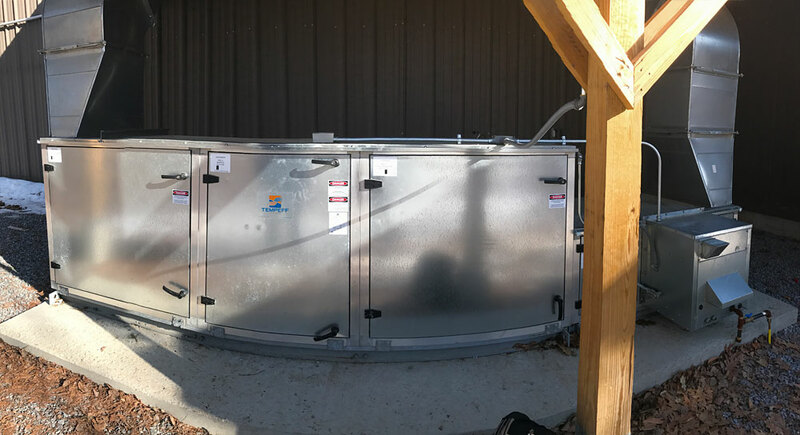 Solution: New, Energy-Efficient unit installed under protective roof. 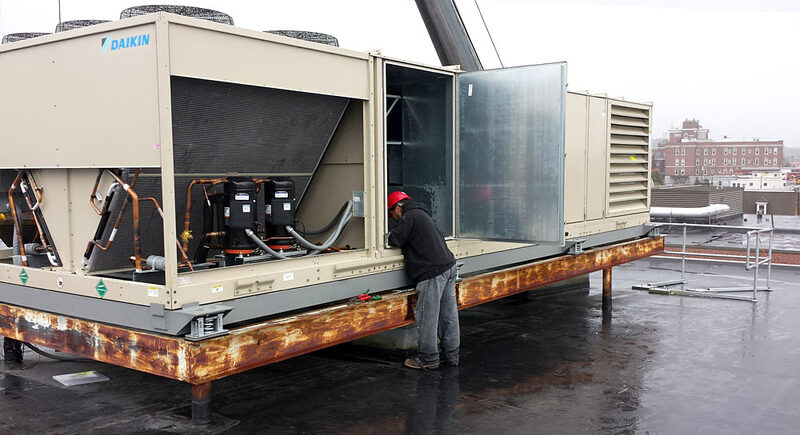 Briggs Equipment Sales, Inc. (BES) has represented manufacturers of heating, ventilation and air conditioning equipment since 1984. 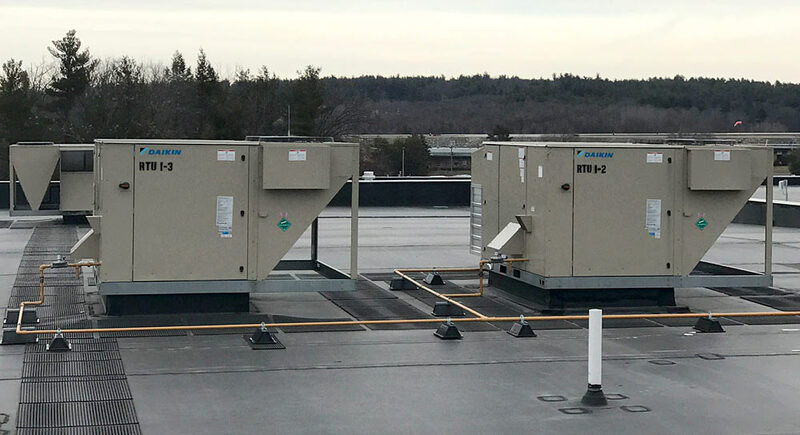 Together with Daikin, the world’s number one air conditioning company, BES promotes the use of environmentally friendly, energy efficient HVAC products while providing outstanding value added service to our customers in Maine and New Hampshire. Read more…. Would you like to learn more about how a piece of equipment works, or how it may save on operating costs? Sign up for a Lunch & Learn Presentation on a topic of your choice. Read more…. © 2019 Briggs Equipment Sales, Inc.. All Rights Reserved.